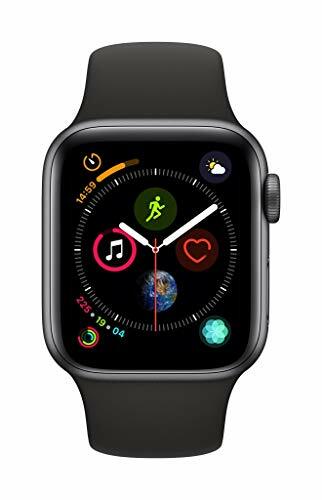 The Apple Watch might be the hottest piece of wrist wear on the market right now, and unlike the traditional timepiece, it’s a whole lot easier to get your hands on. Apple Watches are at stores all over the world, not just at shops dedicated to timepieces. You could likely walk into your local store of choice and find a small space carved out for Apple products alone. Suffice to say, they’re easy to find, but what specific stores can you find the Apple Watch at? And do any of these places run regular deals on the smart timepiece? If you stick with us, we’ll show you all you need to know! 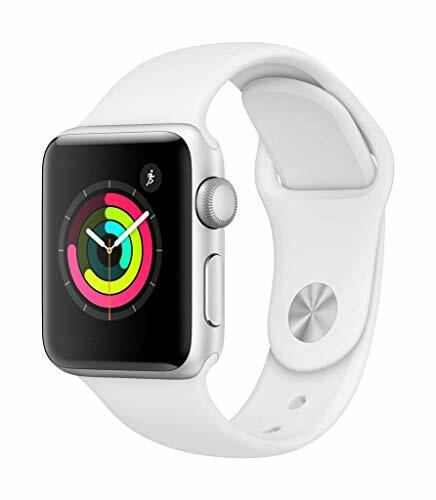 Since the Apple Watch is considered to be an electronic first and foremost, you can find it at most major retail stores that sell electronics. The best place to find the Apple Watch is likely Best Buy. You’ll have a lot of options here, as they’ll usually have the latest model on display, as well as that same model in different sizes for different wrist sizes. On top of that, you can usually find older models at Best Buy as well, perfect in the event that you don’t want to drop a whole lot of cash on the latest version. Target usually has Apple Watches out on display as well, but their selection is often a little bit more limited than an electronics giant like Best Buy. You’ll usually only find the latest model available, as well as the generation before that. In most cases, only the latest model will be available on display to play around with as well, whereas Best Buy has most versions on display. Kohl’s often has the Apple Watch on display, but again, it’s usually the latest model. The last generation is usually still available to buy at the store, but generally not on display. The nice thing about going with a company like Kohl’s is that you can take full advantage of current promotions and rewards points. You can’t apply discounts to the Apple Watch; however, you can usually rack up a ton of points as well as Kohl’s Cash in-store to spend on other products during a second visit. Depending on current promotions, you could snag up to $60 or more of free money that can only be spent at Kohl’s later on. The Apple Store is — obviously — another place where you can find most versions of the Apple Watch on display. 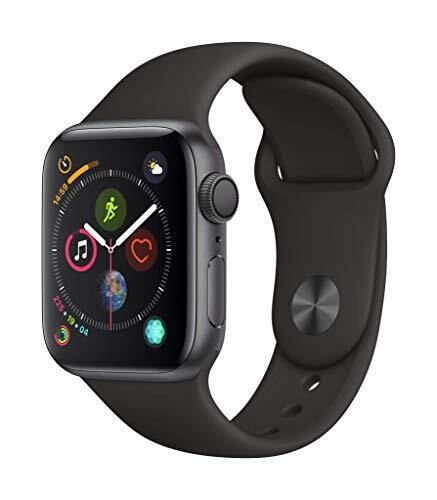 Generally, you won’t come across any promotions here, but you’ll be able to try an Apple Watch on, as well as with any band style that you could imagine. On top of that, if you don’t mind shopping refurbished, you can visit the Apple Store online and snag one for a pretty steep discount! What Apple Watch Should You Get? There are a number of different Apple Watch models out there. In function, they all do the same thing; however, they’re still worth looking at the differences to make sure you get exactly what you want. The Apple Watch Series 4 is easily the first model that you should consider — this one is the latest and great from Apple right now. It comes with fast hardware, as well as a longer battery life to make the watch last even longer. That means less time on the charging pad and longer time on your wrist! It comes with one notable hardware feature. This enables something Apple is calling “fall tracking,” perfect for folks who are active or those who are older. Turn it on, and the Series 4 will detect when you make a hard fall, and alert emergency services for you. On top of that, it comes with a bezel-less display, which gives the Series 4 a premium look. It also gives you a whole lot more screen real estate on your wrist. It comes equipped with a aluminum body, which is more durable against sports and activity. GPS functionality is built inside as well. If you don’t want to spend all that extra cash on the latest and greatest from Apple, older generations of the Apple Watch are just as good. That said, the Apple Watch Series 3 is quite similar to the newer Series 4 — there are, really, only two major differences that you should look out for. The Series 3 doesn’t come with “Fall Tracking” because it doesn’t have the necessary hardware to accurately measure that. The Series 3 also doesn’t have the bezel-less display, so you get less screen real estate to work with, as well as a smaller appearance on the wrist. The Apple Watch Series 3 is still a great Apple Watch to have for those that don’t mind not being on the cusp of technology. 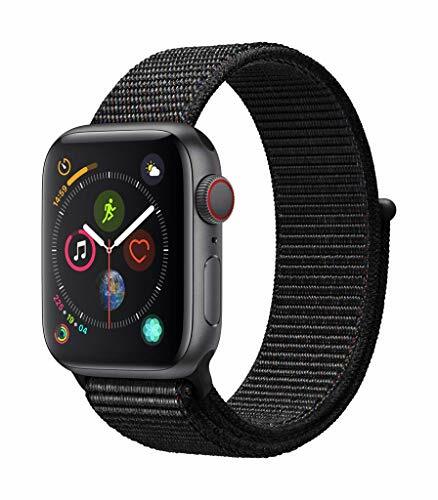 If you plan on using your Apple Watch for a lot of fitness activities, then you’ll definitely want to consider the Apple Watch Series 4, but with the Black Sport Loop. The advantage here is that the Sport Loop is made with more breathable material, making it more ideal for working out with, such as at the gym or on a jog. That way, your wrist never feels extremely sweaty during a workout, and you don’t ruin the more professional-style bands. As you can see, the Apple Watch is a smartwatch that is easily found in most major retail giants across the nation. 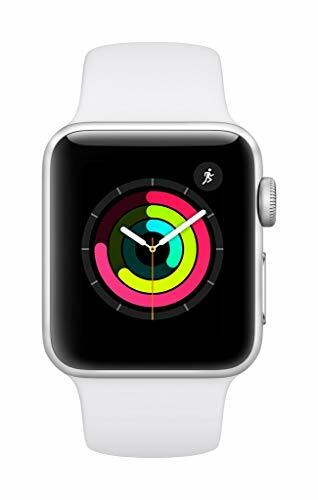 And, if you’re not one for going and shopping in-store, you can easily find all of the latest and greatest Apple Watch models on Amazon.